Ayurveda tells about marma points which are 108 that plays a major role in giving life to living beings. When it comes to Tantra, that every day we breathe 21,600 times out of which 10,800 are solar energy and 10, 800 are lunar energy. Multiplying 108 X 100 is 10,800. There are fifty-four letters in Sanskrit each letters aspects to masculine (Shiva) and female (Shakti) totaling to 108. 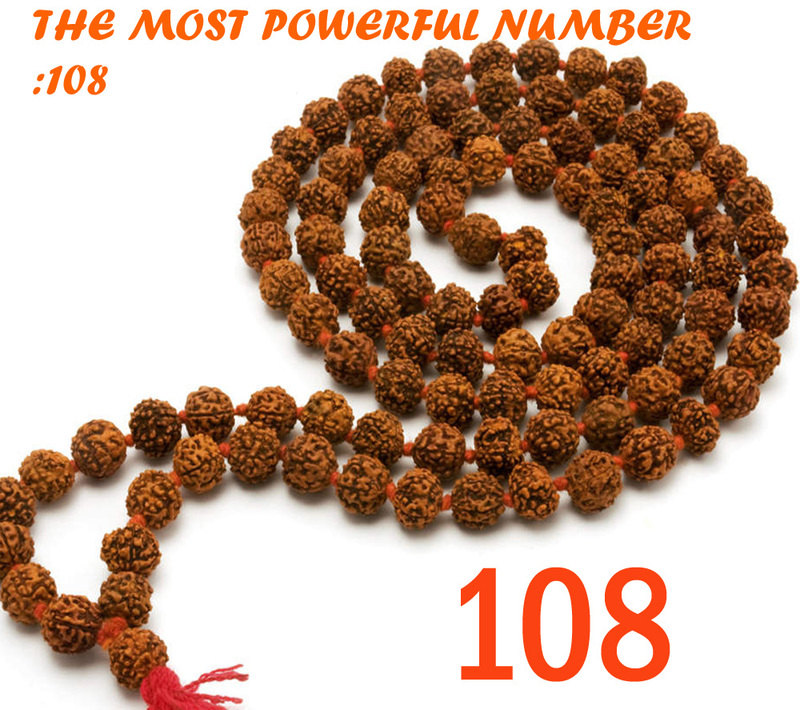 9 times 12: each of these numbers has spiritual significance in several traditions. nine times twelve is 108. Also,1+0+8= nine. The chakras are the junction points of energy lines, it leads to a total of 108 energy lines converging to form the heart chakra. One of chakra is Sushumna leads to the crown chakra and is said to be the path to Self-realization. On the Sri Yantra, there are marmas where three lines intersect, and there are 54 such junction points. Each junction point has masculine and feminine, shiva and shakti qualities. 54 * 2= 108. Time plays a major role in every one’s life in order to remember or forget so there are 108 different feelings which relates to thirty-six associated with the past, thirty-six associated with the current, and thirty-six associated with the future. The most sacred river Ganga spans a meridian of twelve degrees (79 to 91) and latitude of nine degrees (22 to 31). 12*9= 108. As per Indian astrology, the metal silver represents the moon. The mass of silver is 108. The diameter of the Sun is 108 times the diameter of the earth. The distance from the Sun to the earth is 108 times the diameter of the Sun. In Jainism, 108 are the combined virtues of five categories of holy ones, including 12, 8, 36, 25, and 27 respectively. The Sikh religion has a mala of 108 knots tied in a string of wool, rather than beads. Some Buddhists carve 108 small Buddhas on a walnut for good luck. Some ring a bell 108 times to celebrate a new year. The Chinese Buddhists and Taoists use a 108 bead mala, which is called su-Chu, and has three dividing beads, so the mala is divided into three parts of 36 each. Chinese astrology says that there are 108 sacred stars. In Japan, at the end of the year, a bell is chimed 108 times to say good bye to the old year and welcome the new year. Each ring represents one of 108 earthly temptations a person must overcome to achieve nirvana. Atman, the human soul goes through 108 stages on the journey.